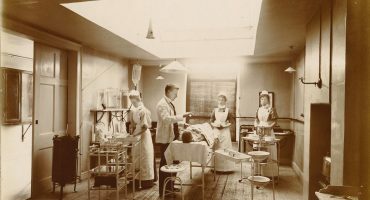 With the start of the NHS in 1948, a specialist Wessex Plastic Surgery Unit, which had been in Rooksdown House, Park Prewett Hospital at Basingstoke during the war, now needed a new home. Salisbury Hospitals Group Management Committee had recently taken the keys of the hutted wartime hospital on the hillside by the road to Odstock village. 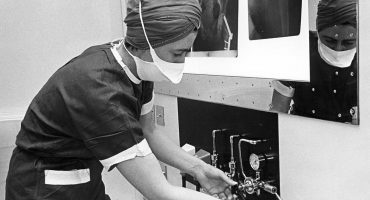 Several wards were being used for the care of tuberculosis patients, but the rest of the site was not being used. 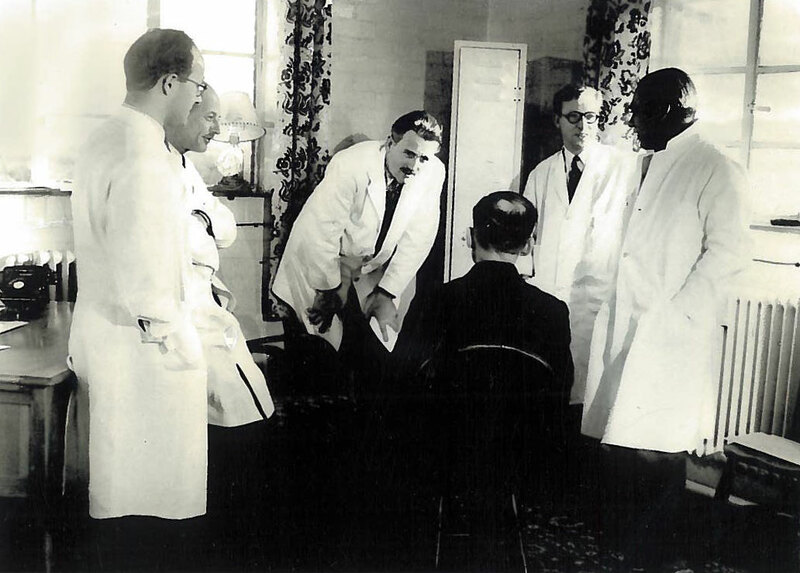 So it was decided that the Regional Plastic and Oral Surgery Centre should use buildings on the south side of the Odstock site, and working clinics began in 1949. 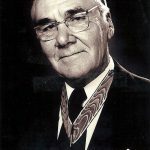 The driving force and founder of the unit was Dr John Barron, a New Zealander by birth, who built an international reputation in his specialist field. 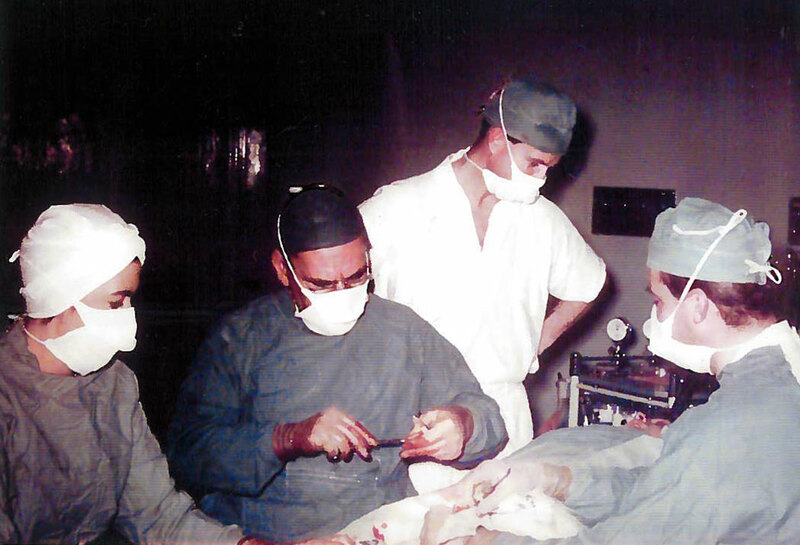 After World War 2, Dr Barron was invited by the Foreign Office to lead a team setting up a hospital for reconstructive surgery in Yugoslavia. He stayed involved with this foundation for the rest of his life and in 1975 he received that nation’s highest decoration, the Yugoslav Flag with Golden Wreath, for his contribution. Here at Salisbury, Dr Barron’s unit attracted students from across the world to learn the specialties of reconstructive surgery. It was soon realised that the treatment of burns cases was equally vital to the reconstructive process and a specialist Burns Unit came into being at Odstock in 1952. 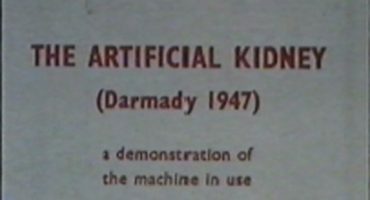 This was further advanced in 1967 with the building of a world-leading new Burns Centre. Today, Salisbury NHS Foundation Trust’s department of Plastic Surgery provides most types of Plastic Surgery and is also a regional centre for Cleft Lip and Palate, Burns and the Laser Service. These services cover a catchment population of approximately 3 million people across Hampshire, Dorset, Wiltshire, the Isle of Wight and the Channel Islands.